SW1X have a wide range of products, and within each product category there are again several versions. While initially perhaps confusing, this is actually a very good strategy that makes it possible to get precisely the right product for every taste and system. 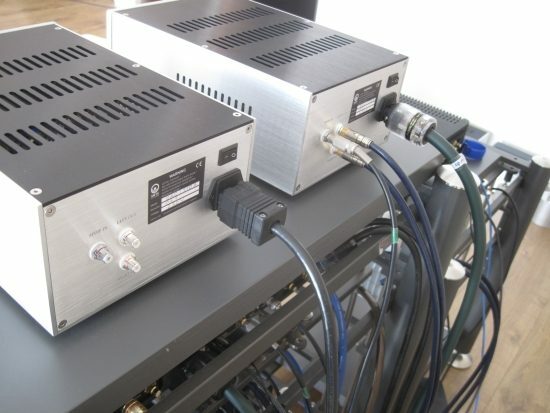 The DAC 1 is the entry level SW1X DAC, available in several versions, of which two are tested here: the DAC 1 with passive I/U conversion and the DAC 1 with active I/U conversion. SW1X are proud to take alternate routes to achieving great sound, and they don’t stick with any one solution, instead seek for the best balance for every model. Please see the manufacturer’s website for the technical details. If there is one constant then it is that tubes are always used. 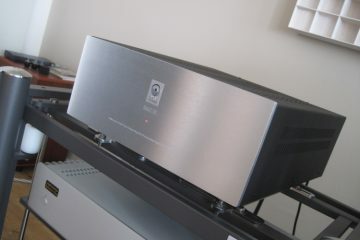 But don’t make the mistake of thinking this is another very smooth but overly rounded sounding DAC. Based on the Philips TDA1543 DAC chip (which is a through-development of the famous TDA1541), the DAC 1 is not in the least classic Philips-y. There is plenty of fluidity and flow, but there is none of the friendly yet thin and somewhat power-deprived sound of the Philips CD614 that uses the same DAC chip, nor any of the extra ripeness of a standard classic Marantz DA12 or CD94 (both use TDA1541). 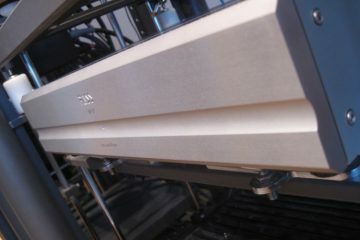 Instead, the DAC 1 sounds more like a discrete ladder DAC. Actually, all SW1X designs are R2R, non-oversampling and use no digital filter. 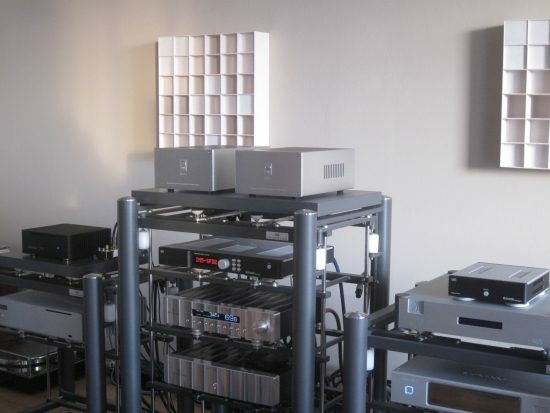 Set up on the top level of the Artesania Exoteryc audio rack and used with the Antipodes DS Base music server and playing on the refurbished Apogee Divas the DAC 1 passive does not sound tubey at all. That is, not in the stereotypical “phat”, mushy manner as tube sound is often perceived. No sir, this DAC is a direct communicator. But that’s not to say that it sounds Transistor-y. There is most definitely the communicative and free-flowing midrange that I have come to know as one of the trademarks of tube deployment, but this trait is offered without the sound becoming slow, or undynamic. Rather, this is actually a super-dynamic DAC! Fed with a Furutech Alpha 3 power cable, (same as used for the Bricasti M1), and AudioQuest Water interlink, the sound is very lively and upbeat, with a slightly forward midrange, very fast and articulate bass and very smooth treble. 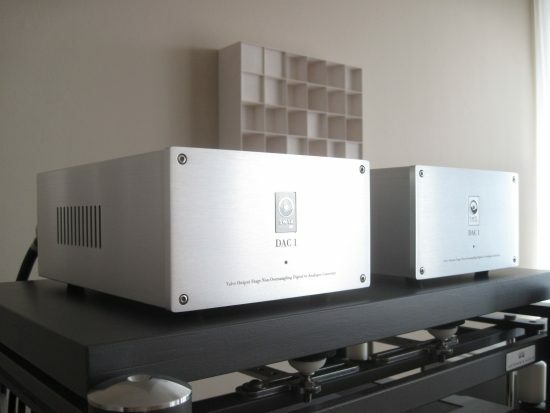 With my trusty Rowland model sixes in the system the DAC 1 sounds just right, but when combined with the Bryston 3B ST poweramp it is perhaps even a little too lively and enthusiastic, if that can even be considered to be a downside. The Bricasti M1 DAC by comparison, using the same interlink, is more soft-spoken, warmer and richer in the midrange and more airy, but also less outgoing and lively. Taste aside, the main thing the M1 has got going for it, is that it is more nuanced and refined. With the DAC 1, one is not really worried about nuance because it sounds so lively and engaging, and retrieves good levels of detail as well. Switching to the Siltech Paris cinch interlink, the DAC 1 seems to feel more at ease, retaining every bit of its liveliness but gaining more treble air and overall fluidity. Bass meanwhile is still spot on: accurate and fast yet quite full-bodied. It is also nimble and lyrical, athletically humming the bass lines with gusto. It seems that the extra solidity that the Water interlink brings, is not required for the DAC 1. 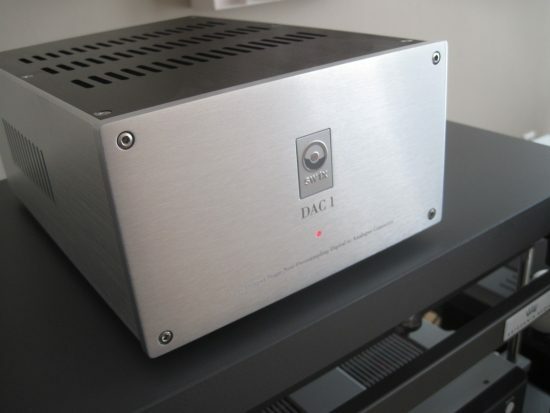 So powerful is the DAC 1 bass, that it has tempted me to connect the Wadia 521 DAC again. Regular readers of this site will know that I feel that the Wadia is king of bass, and only the Bricasti so far has been able to really approach its solidity in bass. In comparison, the SW1X DAC doesn’t quite sound like a Wadia, but it comes a lot closer than I anticipated, a tube design no less! 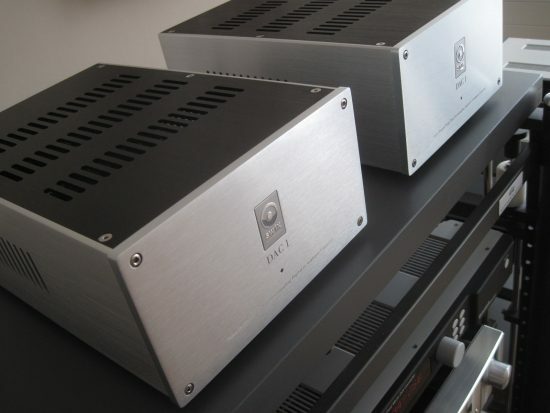 In terms of image solidity and bass foundation the DAC 1 comes out between the Bricasti and the Wadia, and has a more Wadia-like timbre than the Bricasti. However the Wadia counters with better oversight, wider soundstaging, larger dynamic swings and wider perceived bandwidth. 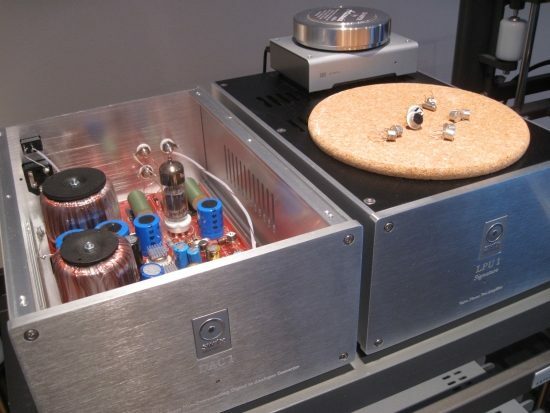 Still, that a tube-based DAC, and an entry level model at that, would even come close to the Wadia, my previous reference no less, is a real surprise. As my system is a little over-relaxed and the Bricasti M1 is relaxed as well, my system as a whole tends to prefer liverlier sounding cables and music servers. In that context, Antipodes servers sound more outspoken and more lively than the Aurender, and with the DAC 1 this can be confirmed, but with the SW1X there is no real need to pull all the stops in terms of dynamics, as it is already so nicely outspoken itself. The Antipodes DS Base works very well, but so does the less enthusiastic Aurender, and I suspect a whole range of other servers. Also, a classic Philips swing arm CD transport such as the Philips CD-880 or the Marantz CD-94 might even be a very good match, adding some extra seductive fluidity to the SW1X DACs’ inherent purity, but I haven’t tried this. 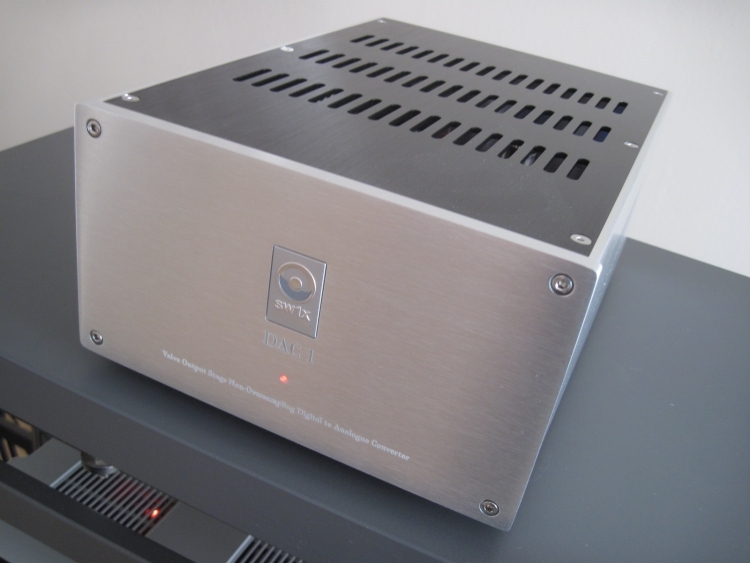 My system is Pure Music Server these days, and I can report that the DAC 1 works just splendidly that way. Under the same circumstance, above all the active DAC 1 is more controlled overall and more precise in the bass than the passive version, as well as more “immediate”, with faster transients and more attack. The active DAC’s sound seems more balanced, more even, but because it is more controlled, also seemingly less freely enthusiastic than the passive version. Although the active version would perhaps measure more accurately, perhaps due to its midrange being more well-behaved, the active DAC 1 comes across as being less enthusiastic than the passive DAC 1. On the other hand, although it may be not strictly be the case, subjectively speaking the active DAC’s frequency curve seems flatter and it strikes me that this may be objectively speaking the more accurate sound. The midrange is now more neutral, less forward so to say. Switching to the Wadia confirms that the DAC 1 active indeed sounds more alike, but I’m not sure if I prefer the higher precision of the active version, or the freeer sound of the passive version. Relative to the passive version the active DAC 1 might now come across in my description as being restrained, but cross referencing with the Wadia confirms that this is not the case, it is merely more well-behaved than its very outgoing passive counterpart. On first listen my vote would probably go to the passive version, even if it may be slightly over-enthusiastic. Listening a little longer though it becomes more obvious that the active DAC 1 is actually very well-balanced and so I am not so sure anymore of my preference. Switching back and forth between the active DAC 1 and the Wadia 521 more and more highlights these DAC’s similarities rather than their differences, and in my view, that speaks volumes about the quality of the SW1X DAC. Ultimately the Wadia is still king of bass, but the active DAC 1 comes close, has similarly natural timbre and a more liquid and even more involving midrange. Going back to the passive DAC 1 confirms that it has a more forward midrange and therfore could be considered to sound livelier, but its presentation is also softer, gentler. Especially the passive DAC 1’s bass is still quite quick and articulate but ultimately less nimble and precise than that of its active counterpart. It really is a matter of horses for courses. As the DAC 1’s are quite lively, a nice alternative to the phased out Furutech Alpha 3 power cable might be the current production Furutech FP-TCS31 with FI-28/FI-38 connectors. The latter provide a richer, more fluid and more refined sound with wider, more dreamy soundstaging. Some components become too slow with this cable, but the DAC 1, especially the Active version, can take it. The output stage of both DAC 1 versions is plenty powerful and drives just about any cable perfectly. I mostly used Siltech Paris that are very open and neutral sounding, but not at all sharp as some earlier models of this brand. What also works well are the AudioQuest Water interlinks. They have a fuller, darker, more sonorous sound than the Siltechs but retain resolution and speed, and although they don’t sound as airy, fluid and open as the Siltechs, they do a good job of subtly taming the DAC’s brilliance without reducing PRAT and attack. In my setup both cables work well, but I tend to prefer the Siltechs for their higher resolution and neutrality. Enthusiastic, transparent and lively, with a rare purity, the DAC 1 is easy to like. In a world full of Delta/Sigma (bitstream) designs, the R2R DAC 1 is like a breath of fresh air. If I want to nitpick, then a finger could be pointed not at the overall level of detail retrieval which is pretty good, but at the way that all the detail is presented. 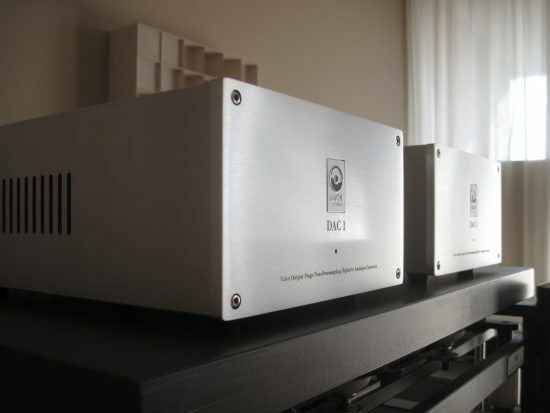 Top dog DACs such as dearer Wadias and the Bricasti spread all the sounds out on a large canvas where each sound has its own space in the width and depth plane and so is more easily discernable, and there’s more overall nuance and refinement. The DAC 1 does not paint that wide and intricate a soundstage, instead packs the individual sounds more closely together and so tends to focus on the overall performance rather than individual strands. These matters are not perhaps really musically meaningful, but the hardened audiophile will perhaps want all boxes ticked. Between the active and passive DAC 1 version I’d be really hard pressed to pick a favourite. Would it be the more accurate active version or perhaps the more free sounding passive version? Both have their merits, for sure. Ultimately it is only up to me to describe the differences so that hopefully you, dear reader, can make up your own mind. 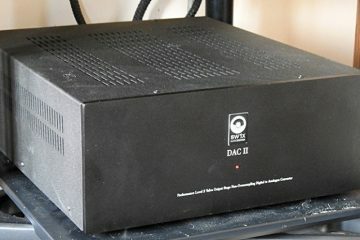 Should you find yourself in limbo, then you could go one level up and consider the DAC 2: it offers the best of the two DAC 1 versions, and ups the resolution and refinement considerably. In any event, system synergy and personal taste mean that my preference might not be yours anyway, and that’s why it is so great that SW1X make their products in various versions. The cool thing about SW1X is that Dr. Slawa does not stop at using regular components. Rather, he digs up rare specimens and evaluates them all in various applications. As he found out, there can be huge audible differences between similar specification transistors. So, while many manufacturers would utilize components based on specification alone, Dr. Slawa mixes and matches various types until he finds the perfect combination. The perceived differences are also heard when these transistors are used in the I/V (Current/Voltage) conversion stage. To put this to the test, Slawa outfitted a DAC 1 with adaptor sockets to enable quick swapping and also provided a whole bunch of transistors, regular ones as well as Germanium types. As Dr. Slawa explains in a comment below, so far the only tube alike sounding transistors that SW1X have come across are made of Germanium, with very few exceptions. 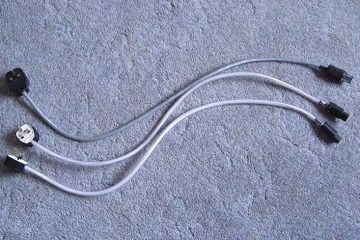 Germanium is a less lumpy material than silicium and tends to sound warmer, softer and have a more resolving presentation- basically having a tube alike character. 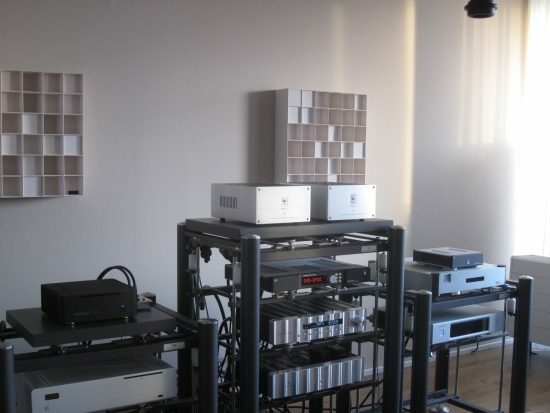 Prior to starting the comparisons, the DAC 1 and all associated equipment was well warmed up. I invited my good friend JW to listen in. I labelled all the transistors and made sure that I knew precisely how to install them. Then I prepped a notebook and listed all 6 types and using a carefully selected 4 tracks in a playlist, I started the comparative listening. I really braced myself expecting to hear very subtle differences but as it turned out, there were absolutely huge differences between the transistors. The impressions ranged from super-smooth and lush to loud and edgy with several intermediate impressions inbetween. Rather than listing all my lengthy listening impressions, I will just attest to the fact that Germanium transistors do indeed sound most fluid and relaxed of them all and that some lesser transistors can really make the DAC sound, hard, edge and, well, “digital”. In a way the Germanium transistors sound similar to the classic Philips swing-arm mechanisms such as the CDM1: utterly stress-free and ever so smooth. In fact of the bunch of six I narrowed it down to two favourites, and one of them were indeed the Germanium types. Ultimately, as always it is a matter of personal taste and even more so of system synergy. 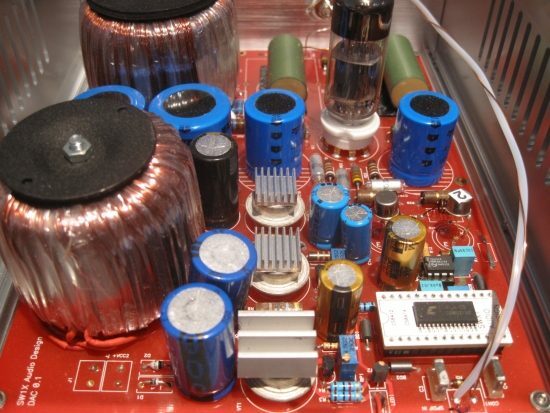 Just as with the transistors, wiring types also make for large differences. Dr. Slawa makes use of copper and silver precisely as is needed by a particular device, and its other internal components. Thank you for your reflective, informative and in depth review of DAC I STD active vs passive version. Perhaps it is worth mentioning that both DAC I versions that were compared in the review were made of identical materials and components, which were harmonically matched (more about it here: http://sw1xad.co.uk/what-makes-sw1x-audio-design-sound/ ) before assembly. The only difference between those DAC versions was the I/U conversion stage: Passive I/U (based on a pair of selected Allen Bradley resistors) and Active I/U (based on a pair of special Silicon transistors powered by a discrete shunt voltage regulated power supply based on a power Germanium transistor). I think the review pretty much represents what we would do a lot with materials and components- to compare and to contrast them in an identical or similar circuit. That way we gain insight of how certain materials sound and how they interact with the circuit. On the account of question which version of DAC I is ranked higher, I would be inclined to rank the active I/U over passive over its conversion accuracy but because they are folks who like a more lazy laid back sound I leave it to them to decide. Though the active I/U is more accurate in converting current to voltage because of the better impedance match (less loss of signal) the issue is to have a transistor than not only is fit for the job but also harmonically match the overall sound and must be “invisible” i.e. the character of the transistor is not audible. It has to sound transparent i.e. resolve but in the same time be soft enough and do not add too much of a sandy character (which is not just a cliché) associated with semiconductors – sounding either hard, grainy-noisy and washed out or a combination of those mentioned. This is a hard task to accomplish given that most modern transistor are just sounding like that. 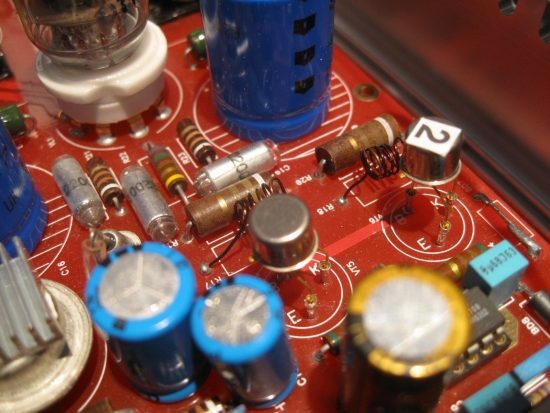 So far the only tube alike sounding transistors we have come across are made of Germanium, though on rare occasions we have come across some soft sounding transistors that were made Silicon but those candidates were rather exceptions. Germanium material has lower voltage breakdown point relative to Silicon. Therefore, Germanium is a less lumpy material and tends to sound warmer, softer and have a more resolving presentation- basically having a tube alike character. Germanium has become an exotic material in the sense that it not used in now days production anymore. That makes it even more difficult to produce a harmonically matched sound. 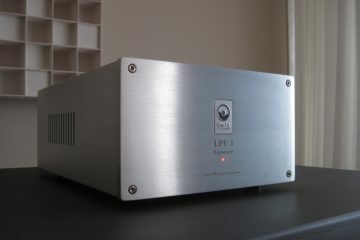 Some people would consider the classic Philips TDA1543 as an old fashion and obsolete DAC. That is justified given its age but many people have not heard the non-oversampled (zero digital filtering) implementation at its full glory with discrete shunt regulated Germanium transistor power supply and a discrete and active I/U with a single ended, class A, zero feedback valve output stage. If DACs were cars and one considered our circuit design and the materials we employ together, the DACs that we offer would resemble something like an old timers- to me they are classy ones. It is very interesting to see how and old timer (DAC that is based on established and optimized technologies) compares to the latest most modern technologies like bit-stream, aka Delta Sigma and DSD based DACs, which rely on digital filters (that remove soul from the music). There is a huge difference how both technologies present dynamics & harmonics. Timbres sound much more natural and more accurate on non-oversampled (no digital filtering) designs. That is one of the reasons why Delta Sigma technology is not a part of our designs. When a true 16 bit resolution, non-oversampled R2R DAC sounds alike in terms of perceived resolution than I would say we have not progressed much in audio particularly in the last 30 years. I would go further to say there has not been much of a progress in sound since the technologies (valves and transistors) were invented. It may sound provocative but I leave to our customers to decide. It is a question of semantics. TDA1543 is certainly not a Delta Sigma modulator type as it is current based DAC device . Current mode logic (as the name says) is another term for essentially R2R. One of the reasons as why R2R can sound more natural than Delta Sigma (single bit or multi-bit) is that one can omit filtering in the digital domain i.e. make the R2R to work in direct, non-oversampling (NOS) mode, without a digital filter in between. Delta Sigma cannot function without digital filters but R2R such as TDA1540/3/1 can do so without sweat. However, a DAC being R2R type does not guarantee a natural sound, ceteris paribus. R2Rs with digital filter is the worst of its kind. It is the digital filter among the cost factor that killed R2R. In the end it is the digital filtering that kills music.